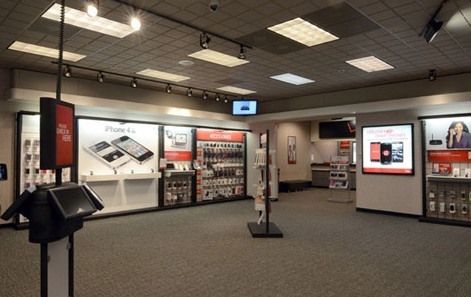 Verizon is refixturing their retail stores based on its 2012 Evolution 2.0 prototype even as it introduced its new Destination Store at the Mall of America this past November. Evolution 2.0 drops the black trim, power poles, 2×4 troffers and bland grey carpet and replaces these with a mix of ebony woods, clean white counters, silver trim and beige/grey patterned carpet. These seemingly minor changes create a very different character within the store and set the stage for better customer engagement. The store eliminates the wall displays and dummy phones for illuminated tables with real devices including both phones and tablets that can be held and experienced. Sales associates use tablets instead of POS terminals and the sales counter has been replaced by a walk-a-round counter for better customer engagement. 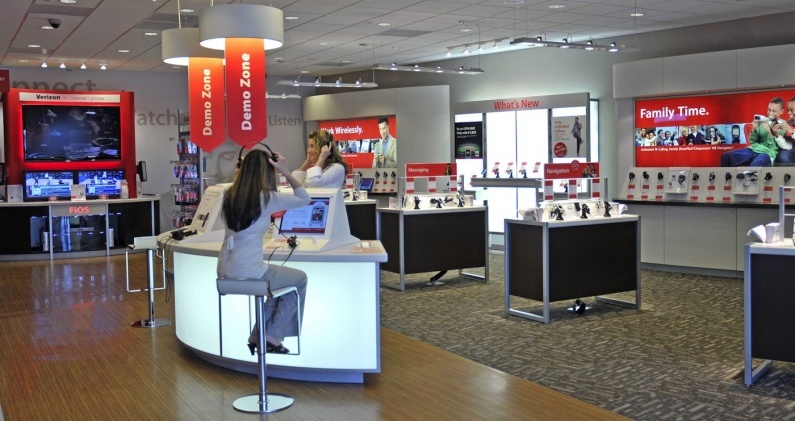 The Verizon Destination Store evolves 2.0 by going far beyond smart phones. The store positions itself as a lifestyle store that helps consumers with their entire connected life in six zones including their work life, home life and entertainment needs. The stores are “designed to educate, engage, and give hands-on time to customers,” Marni Walden, COO of Verizon said during a webcast presentation. The store moves beyond the sixty-second sales pitch paradigm toward a greater understanding of customer’s needs & challenges and thereby creates an opportunity for greater customer loyalty. The store integrates multi-channel delivery by uniting on-line shopping carts with in-store delivery and even same day delivery in major markets. Bottom Line: Retailers have to understand what differentiates the on-line experience from the brick-n-mortar experience. Dummy phones are not going to cut it in a world where Apple sets that expectation and consumers can show-room retailers out of existence. In addition, multi-channel integration of the on-line and in-store experience will become the norm of retail delivery in the future. Next Tablets, Tablets – Tablets Everywhere! Apple store at UVillage in Seattle very calming and serine space. Doreen’s cup of Joe restaurant is an authentically inspired eclectic mix of ornate shadow box frames in teal and coral, holding white roosters. This quirky detail combine with crystal chandeliers, swag drapes mixed matched chairs creates a unique restaurant experience. Great breakfast too! Arizona Biltmore famous Biltmore block design by Frank Lloyd Wright whose graphic geometry comes from palm fronds. Arizona Biltmore all decked out for the Christmas Holidays! Took a little mountain bike ride through the Adobe Jack and Grand Central trails in Sedona. Next year bringing my GoPro! Taking in some R&R in Sedona AZ and exploring the regions hiking trials.